Students will honor veterans through patriotic readings, artwork and music. West Seneca West Senior High School is pleased to announce its 28th annual Veteran’s Day Commemoration, starting at 8 a.m. on Nov. 9 in the school gymnasium. The program will include the participation of the American Legion Color Guard, Post 8113 AMVETS, American Legion Post 735, West Seneca Veterans, American Legion Ladies’ Auxiliary Unit 735, American Legion Riders, Navy Seabees, Niagara Frontier Marine Corp League, 82nd Airborne, VFW Post 2940, VFW Post 8113, VFW Post 12097, Armed Services Recruiters for West Senior and the Gold Star Mothers. Students will honor veterans through patriotic readings, artwork and music. This year’s theme is “Veteran’s Day: 100 Years of Honor and Remembrance,” celebrating the centennial commemoration of World War I and the 100 years since of honoring our veterans and remembering those we have lost to war. Relatives of students and staff who are currently or have served in the military are encouraged to attend the commemoration. The special guest speaker will be Margaret Quinn, a retired Staff Sargent in the U.S. Army. A South Park High School graduate, Quinn served on active duty from 1975 to 1995. She was also a contractor and federal employee from 1995 to 2018 in Iraq, Haiti, Cuba, Germany, California, Alabama, New York, Kansas and Missouri. 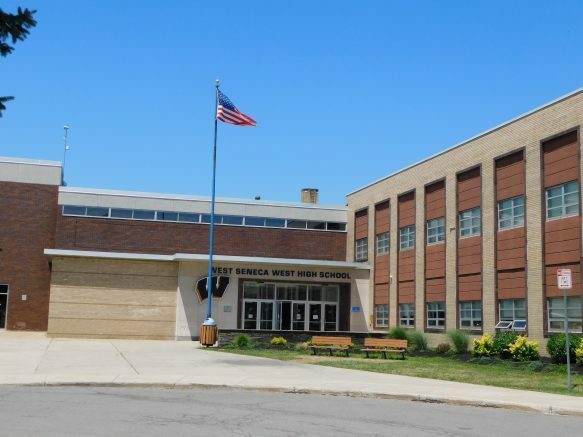 Be the first to comment on "West Seneca West Senior High School announces 28th annual Veteran’s Day Commemoration"